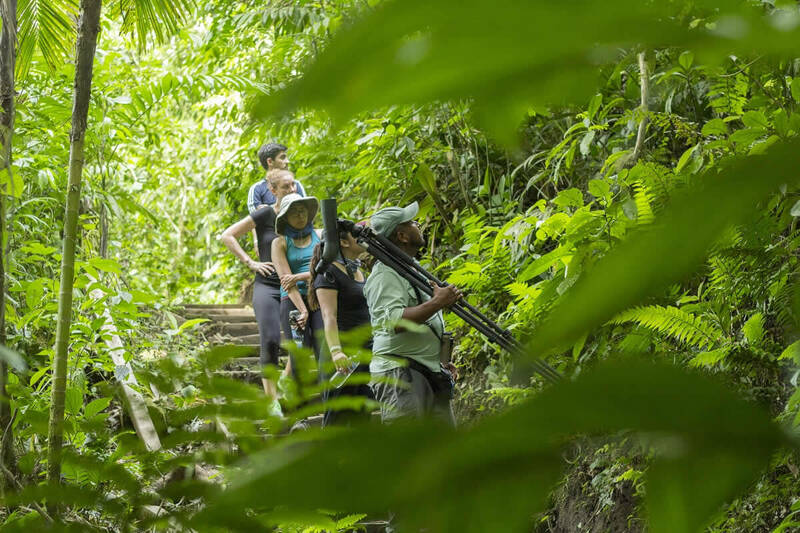 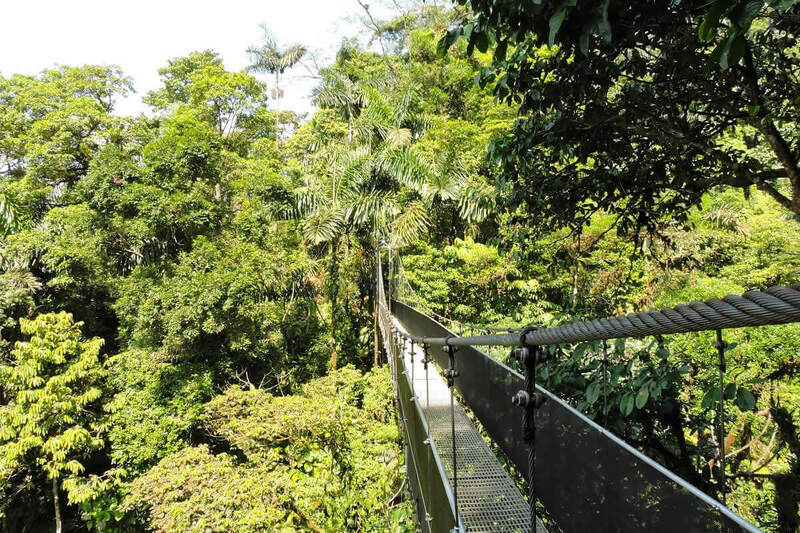 First activity consist on a visit to Arenal Volcano Hanging bridges this tour option offers an approximate 2 hour long hike along a series of suspension bridges. 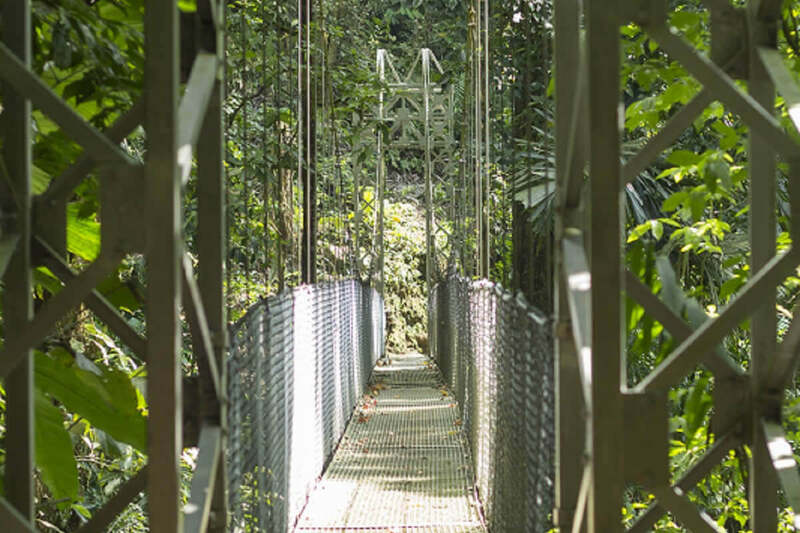 This tour site also provides an opportunity to tour the bridges it is an excellent option for morning birdwatching. 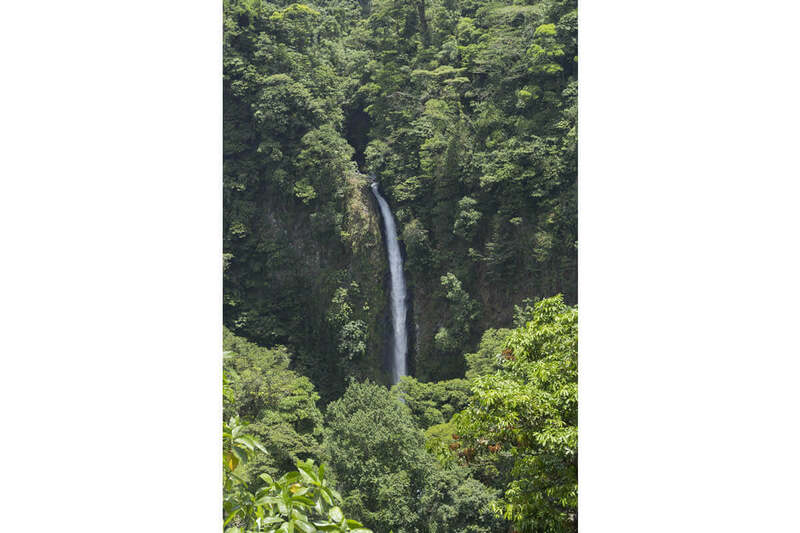 After that, the second activity is La Fortuna Waterfall; this place owns a beauty scenic surrounded by abundant vegetation, and great variety of flora and fauna. 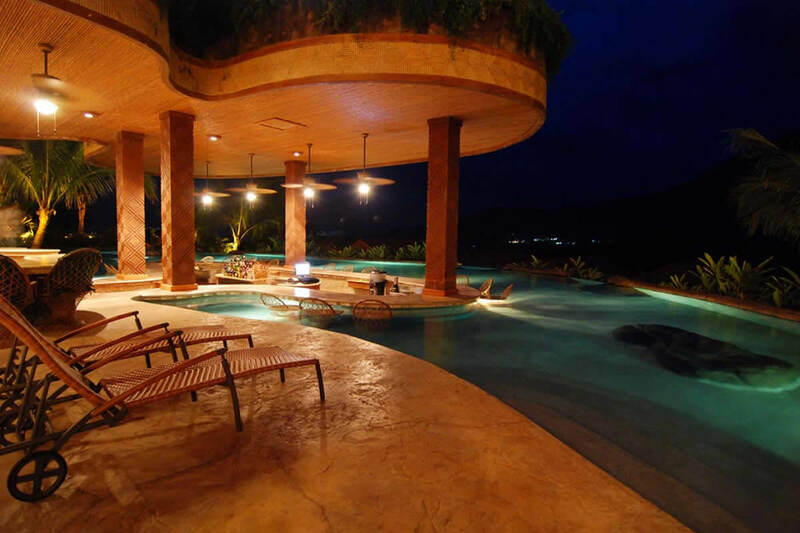 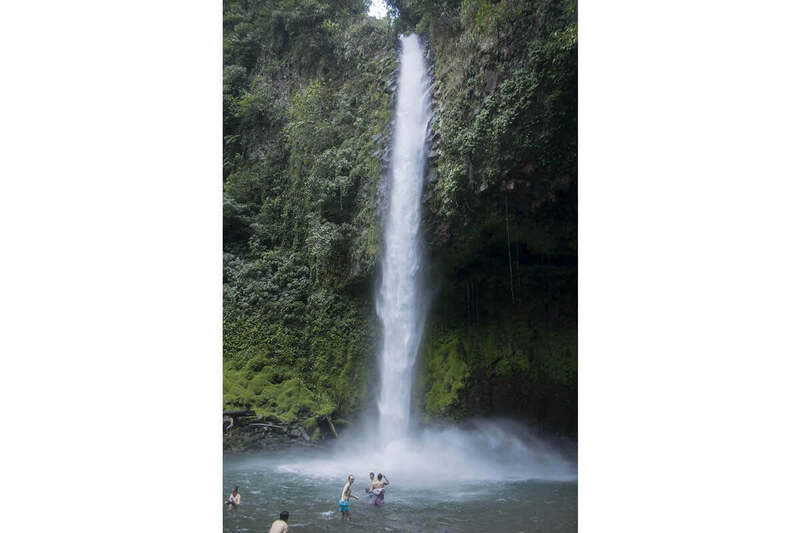 Excellent for swim in crystalline water or take pictures of the seventy meters height waterfall. 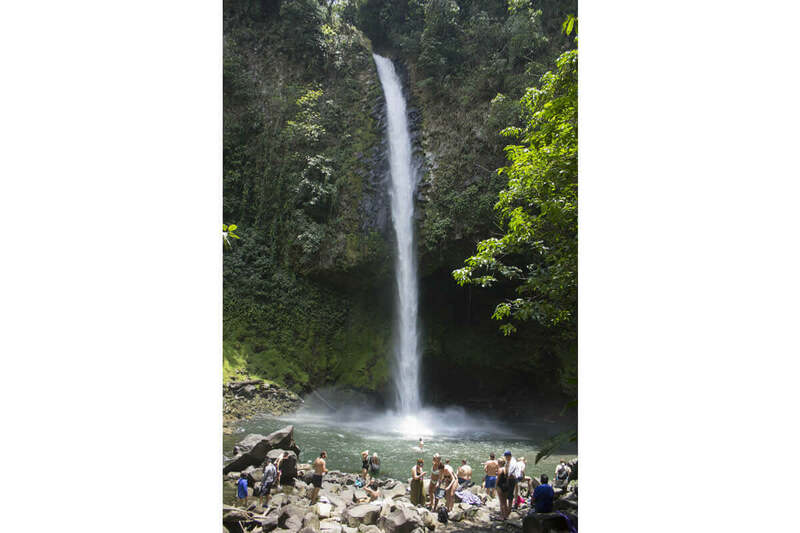 Lunch has come on the right time, wewill drive you to a local family house, there, you will enjoy a delicious typical lunch served in an open air area after lunch you can have a good cup of coffee and relax with the sounds of the nature. 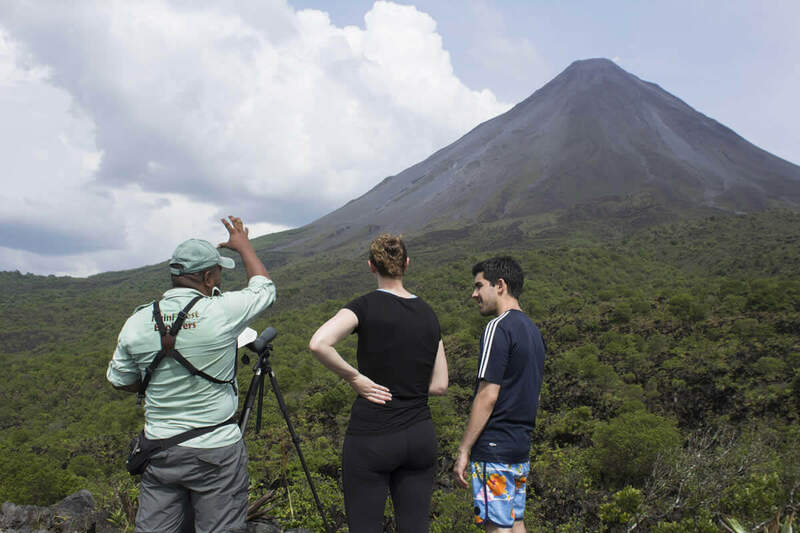 The tour will continue from there to the Arenal National Park, home of the world's second most active volcano. 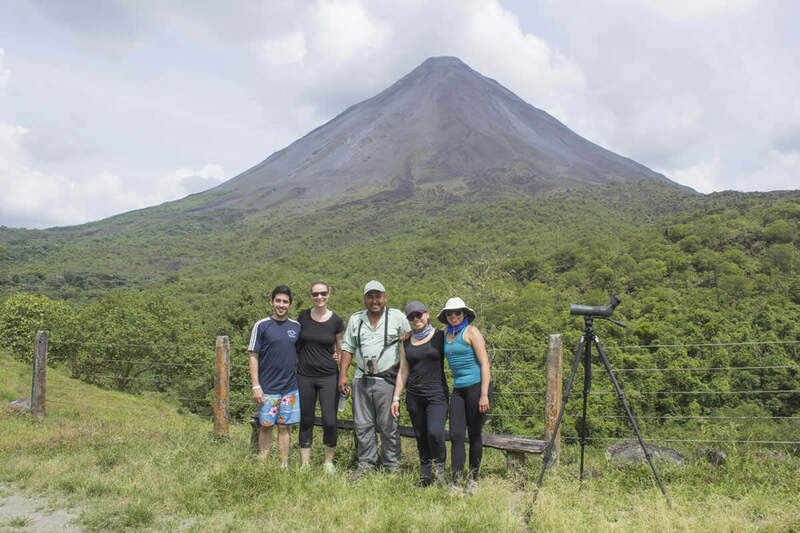 Here one of the trails offer the opportunity to walk through an ancient lava flow originated by a big eruption in 1992, from here you will have amazing views and pictures of Arenal Lake and Volcano from the base of it; you will have unrivaled views of the conical volcano as well as informative guided tours through the dense rainforest to view the natural beauty and abundance of wildlife. 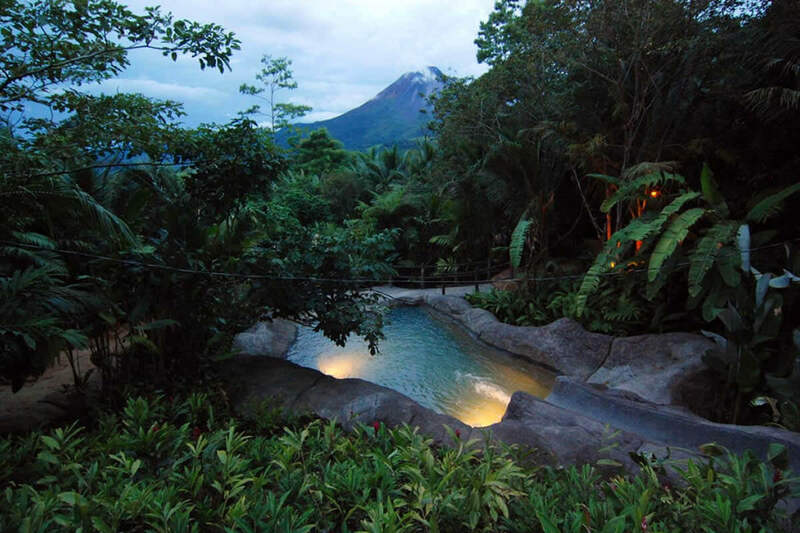 Last place we will visit is The Springs hot springs; it has eighteen freeform, landscaped pools that provide you great views of the volcano and a multitude of options. 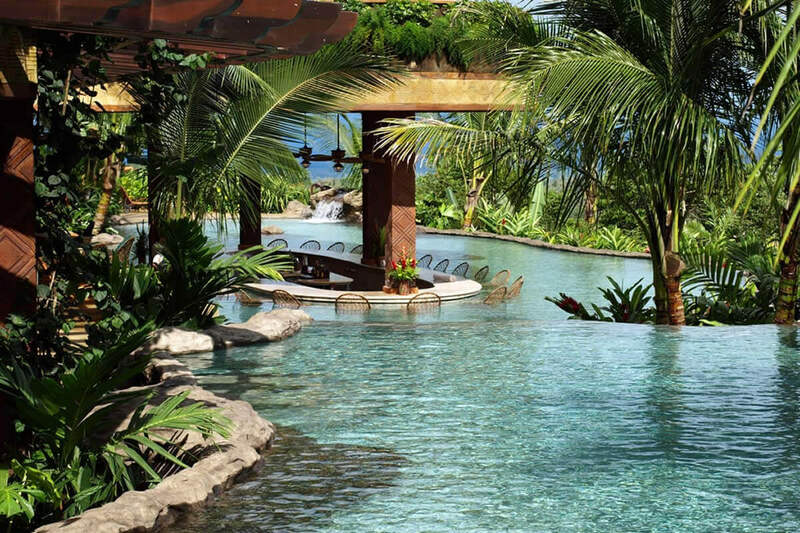 You can find hot springs with temperatures ranging from 83 ˚F to 103˚F and environments that vary from raging waterfalls to tranquil forest experiences so you can find the perfect pool for your mood and the current weather conditions.